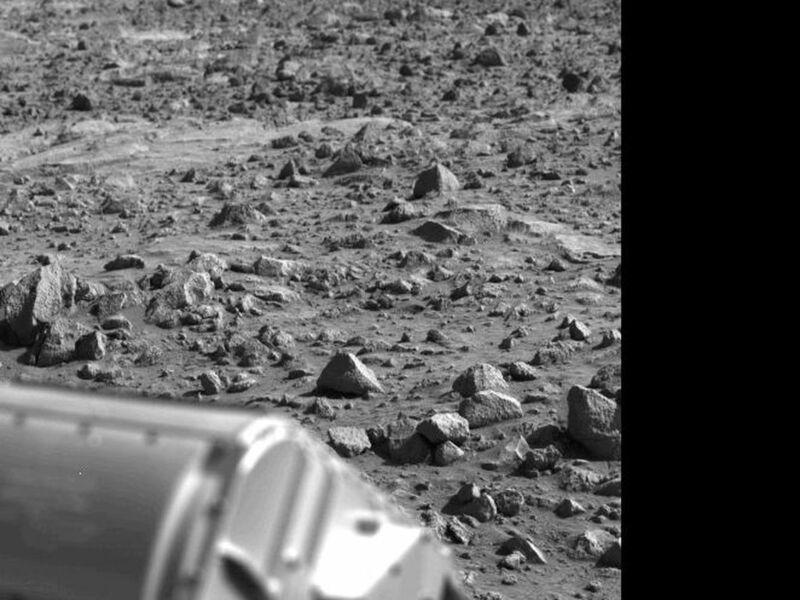 The letter 'B' or perhaps the figure '8' appears to have been etched into the Mars rock at the left edge of this picture taken yesterday by the Viking 1 Lander. 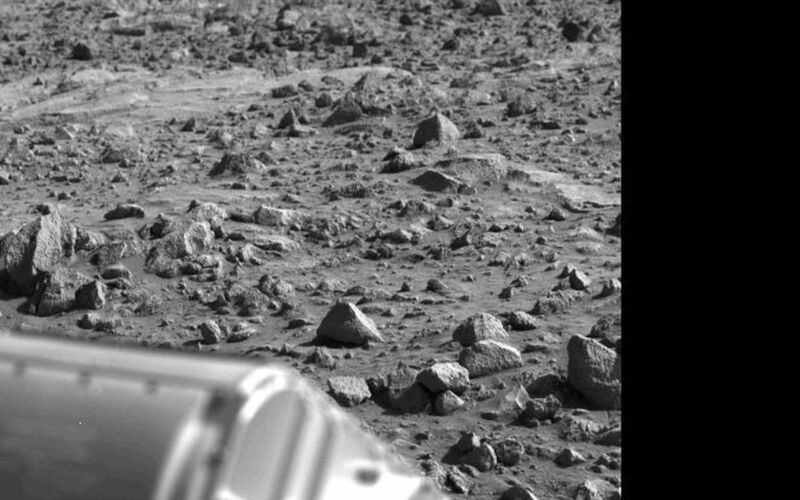 It is believed to be an illusion caused by weathering processes and the angle of the sun as it illuminated the scene for the spacecraft camera. 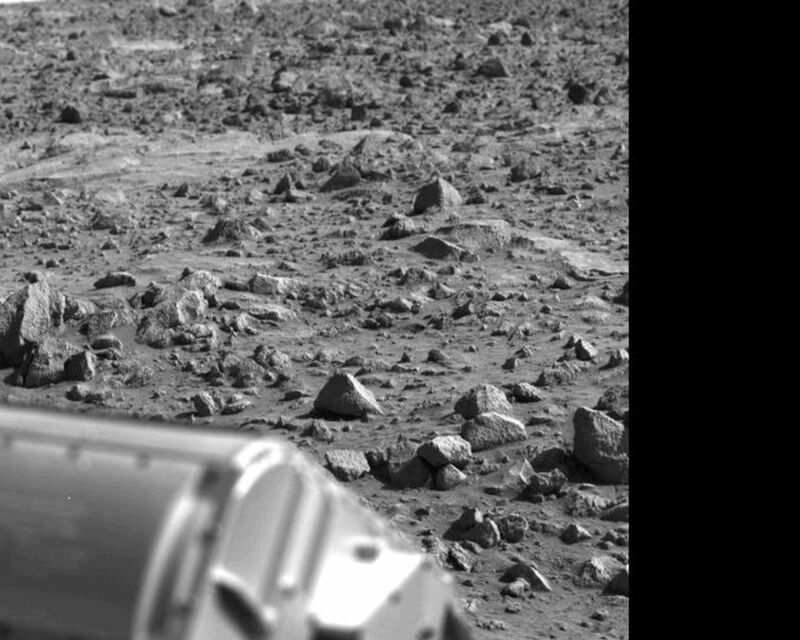 The object at lower left is the housing containing the surface sampler scoop.